Looking for more sales online? Then now is the time to get serious, get focused and find out what really matters with internet marketing expert, international speaker, author and owner of multiple online businesses, David Frieslander who will be running a one day Super Forum, highly focused on what real steps businesses can and should be taking to make money online. 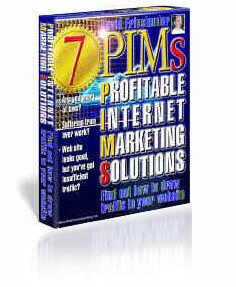 "I run a highly successful and profitable Internet mail order business. I believe in working smart and not making it harder for myself or others. There is so much disinformation, speculation and procrastination surrounding the internet that this Super Forum will give you a place to cut through to the chase, cut the bull and will allow you and your colleagues to discover for yourselves what works and doesn't. If your interested in avoiding burning money then this event is not to be missed!" Any type of business would benefit. The seminars are beneficial to local, national, global, online or offline, business, whatever sector. The seminar/workshop event will last for eight hours and focus on the design, build and content of the website. David will take people right back to the basics of why we are on the internet at all and what the user is expecting. This is a Super Forum where you will see live demos of keyword tools, Search Engine Optimisation, Google Adwords (being set up and run and producing results), Analytics, Email Marketing, Link Structures, checkouts, The aim is to help delegates stimulate ideas and question why their own site is built the way that it is. We'll consider all this from the local, international and global perspective. David understands that local, national and international businesses have different needs. They trade with local consumers; international consumers and trade. They need foot traffic but are finding it tough to compete against the giant businesses both in retail parks and on the internet. This seminar is designed to help them get their customers back. The event includes breakfast, morning coffee, lunch and in the afternoon tea and biscuits. The event also provides delegates with many benefits worth in excess of the value of the event.